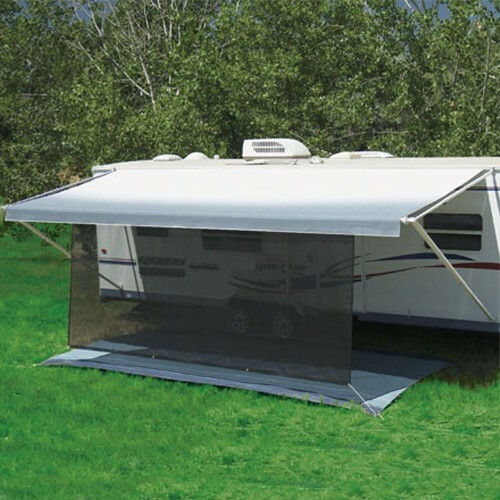 Keeps you cool and comfortable!, Shade all of the area under your awning!. Don't put up with the heat and glare of early morning or late afternoon sun. 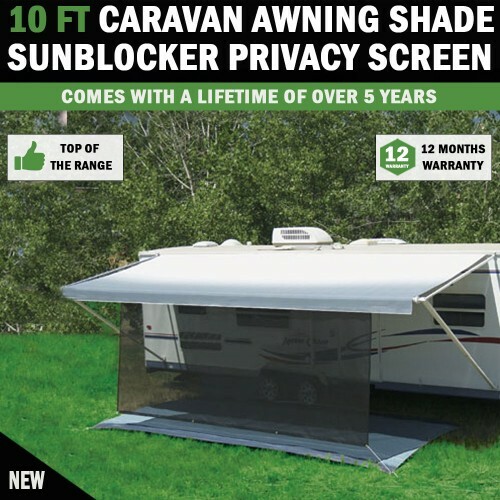 The Sun-Blocker's weather resistant open-weave fabric cuts almost 85% of light to keep you cool and comfortable - but it doesn't block your view! 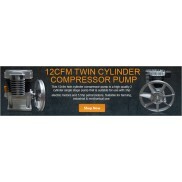 Fabric construction is a woven 100% polyester with a durable vinyl coating. 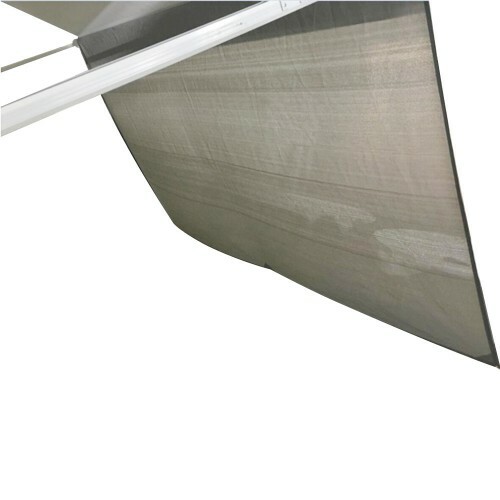 It slips quickly and easily into the open slot on most awning roller bars. Grommets and ground stakes included. Now you can see out, but people can't see in. 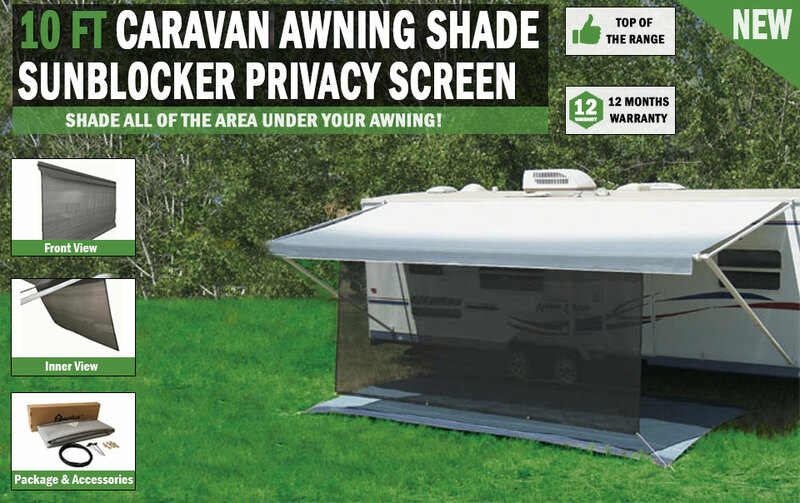 It blocks the glaring sun from the front or rear opening of your awning. Set up is easy. The loop end fits over the small bracket by the awning rail, while the other end secures to the roll bar. Stakes and cord secure the panel to the ground. 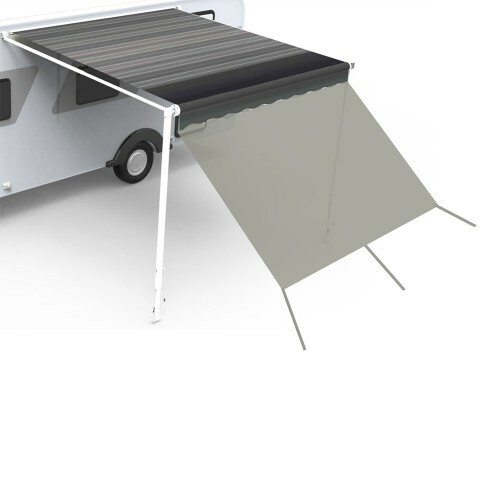 Sets up on either end of your awning.